We hope that each and every one of you are having a fabulous Christmas. All of us up here at the North Pole are certainly enjoying the snowy and joyous day today. Enjoy the rest of Christmas Day, and from all of us at Northpole.com, we wish you a very happy and healthy 2018! 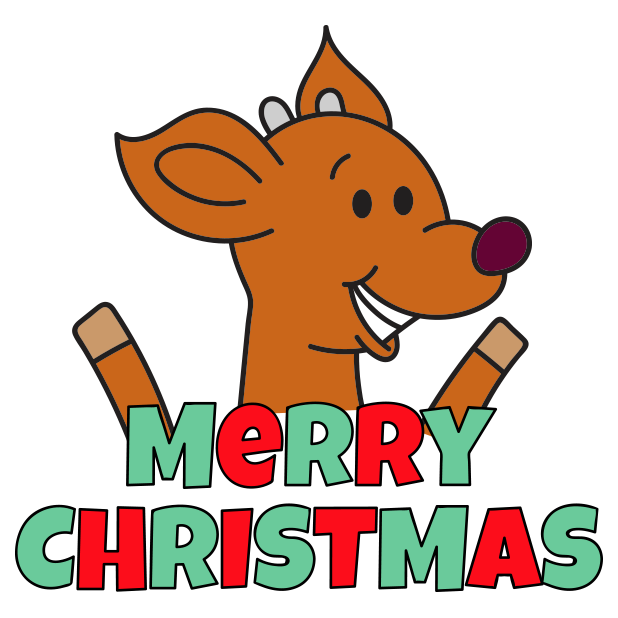 This year we released a couple of awesome items for iPhone and iPad: Raymond the Reindeer stickers for iMessage and the North Pole Christmas Stories app. Learn more about both below! 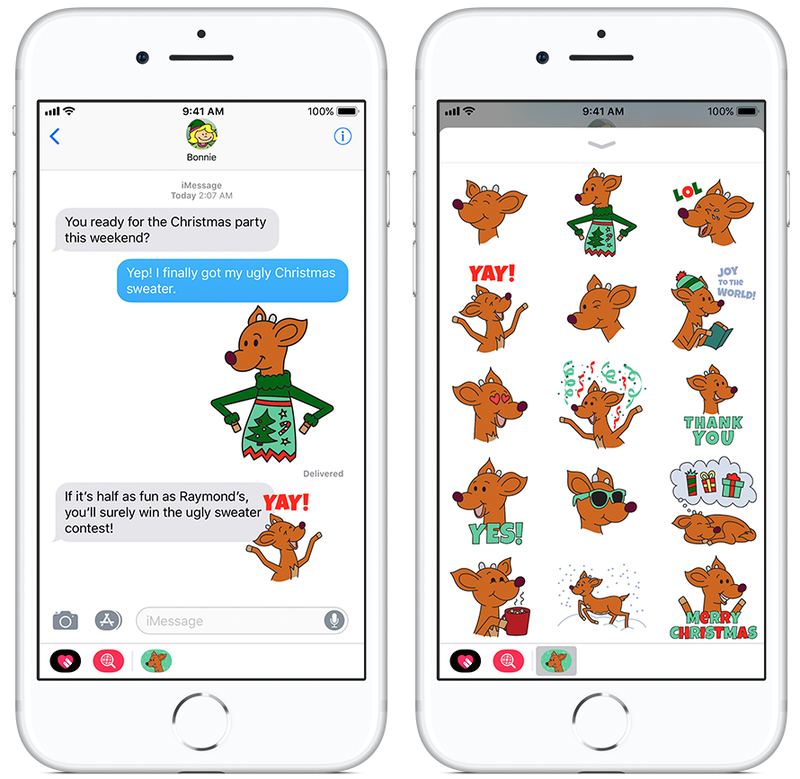 Add some festive fun to your conversations this holiday season with Raymond the Reindeer Stickers for iMessage! This Christmas sticker set contains 28 awesome stickers featuring Raymond doing all kinds of holiday activities, such as wearing an ugly Christmas sweater, drinking hot chocolate, singing Christmas carols, and much more. Download the Raymond the Reindeer sticker pack today for only $0.99! Parents, this holiday season snuggle up with your children and read these 20 festive stories about Santa Claus, the elves, and the reindeer up at the North Pole. Teachers, incorporate these merry tales into your lessons during the month of December. With 20 stories to choose from, students can read a new story every day until Christmas. Both parents and teachers will appreciate that these stories are fun for kids to read but also contain messages about sharing, teamwork, patience, kindness, cooperation, generosity, and much more. Download the North Pole Christmas Stories app for iPad and iPhone today for only $2.99! Earlier this season, Mary wrote about holiday tea towels from Spoonflower and showcased some of her favourite designs. 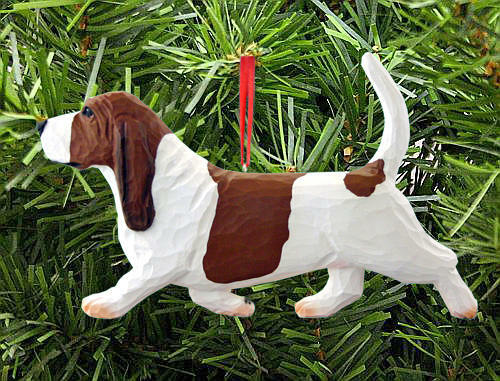 Well, while searching for Christmassy basset items on Etsy, I came across this pattern from Spoonflower. Oh my goodness—LOOK AT THE CUTENESS. 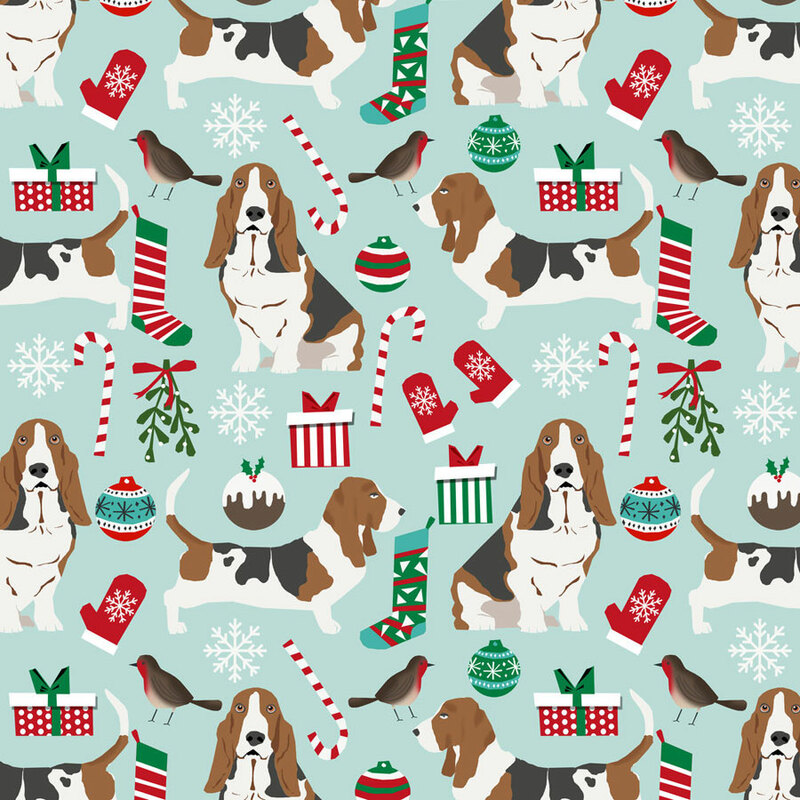 Featuring tri-colour basset hounds, Christmas puddings, mistletoe, and more festive goodies, this fabric is amazingly adorable. If I knew how to sew, I’d be making myself a dress out of this fabric stat. Purchase this fabric from Spoonflower’s Etsy shop or directly from their website. Tomorrow night Santa will be making his grand trip around the world and eating cookies that folks leave out for him. Since we elves adore sweet treats as well, Mrs. Claus always bakes us extra cookies to enjoy on Christmas Eve. In honour of tomorrow’s cookie extravaganza, I pulled together some cookie decorating videos that are truly fascinating. The amount of effort put into each cookie is astonishing, and watching these videos is actually kind of relaxing. Check ’em out below! What cookies do you like to eat during the holidays? Let me know in the comments below!